What if you could display personalized ads before millions of viewers across YouTube, based on their past interactions with your website or YouTube channel? You can! This practice of “retargeting” video ads is a powerful way to reinforce your message with people who have already seen your videos or website. When most small business marketers think of remarketing or retargeting, they envision reaching a user who has visited their website but didn’t convert by buying a product, downloading a guide, or performing some other desired action. 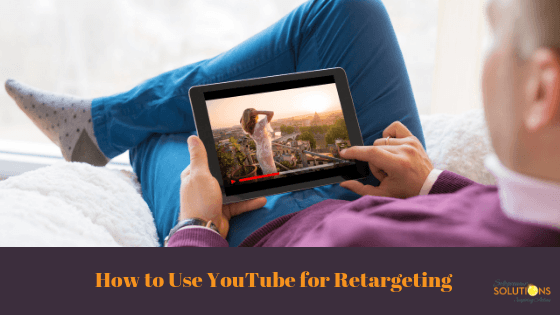 If you target this audience for remarketing on YouTube, you display a custom ad only to those users, reminding them of your product or service, and perhaps offering a discount or coupon. However, you can also remarket to people who watch videos on your YouTube channel. Sort these viewers into segments, categorized by those who have commented on a video, watched a particular video, watched any video, or any other criteria. Build as many retargeting lists as you want using different guidelines for each segment. Now you can use these lists in your targeting settings for new or existing campaigns. Manage your lists from the “Shared library.” Select Audiences or Audience manager in Google Ads. In-stream YouTube ads play automatically before the video selected by the user will play. The non-skippable in-stream ads are expensive, so smaller businesses typically only choose the skippable ads. This makes better sense, though, because when users skip your ad, they aren’t interested. That’s fine, you don’t want them to hang around because you have to pay for that impression if they do. With In-display ads, someone has to click to play the ad, actually choosing to watch it. A cost is associated with the click. The cost per view depends on your bid. Adjust the setting in Google to reflect you’re willingness to pay so much per view. Shoppable TrueView ads is a combination of YouTube TrueView ads and Google Shopping ads. Beside your video ad Google Shopping will display a product listing ad for the same product or service. For example, your video is about using pool covers to protect your pool during the winter season. Google would show a product listing ad beside the video for a pool cover. For example, someone goes to the grill page, clicks around, and doesn’t purchase. The next time they’re on YouTube looking for anything from barbecue recipes to football highlights, the pre-roll video will be for grills at the company they just visited. Also, below, beside, or overlaying the video will be Google Shopping ads showing the grill. To use Shoppable TrueView, you must set up the product feed with Google Merchant Center. You can adjust settings in Google to show only certain product listing ads or open it up to show anything you choose. A great tool for building audiences to target is Smart Lists. Google analyzes your conversion data and builds a list of people most likely to convert on their next visit. People on a smart list may not have purchased yet, but Google uses available data to determine that they have a high probability of converting soon. In order to use the Smart Lists feature, Google Analytics and Google AdWords need to be connected and you need to enable Smart Lists in Analytics. You can also target potential buyers by using Similar Audiences. Upload a list of your most loyal customers, and Google will develop a similar audience list based on behavior. These users have searched in similar ways, on similar sites, as your loyal customer list. This is a great list to target with search ads. You may already be using retargeting in your marketing arsenal. Why should you add YouTube Remarketing to the mix? Improve Your ROI: Businesses that use remarketing on YouTube have boosted their ROI. Broaden Your Efforts: Leverage YouTube’s huge network to reach more potential customers. Save Money: The Google Ads auction model offers competitive rates. Be Flexible: Expand your remarketing strategy to include your YouTube videos. How have you used remarketing with YouTube videos? How much success have you achieved? Would you recommend it to our readers? Do you have any tips or recommendations to share with our readers? Record them in the comments below!